the day this picture was taken. 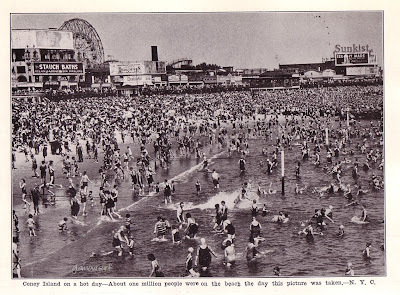 Looks like fun, sort of, quite a lot of people on the beach this day, it sure must have been hot. 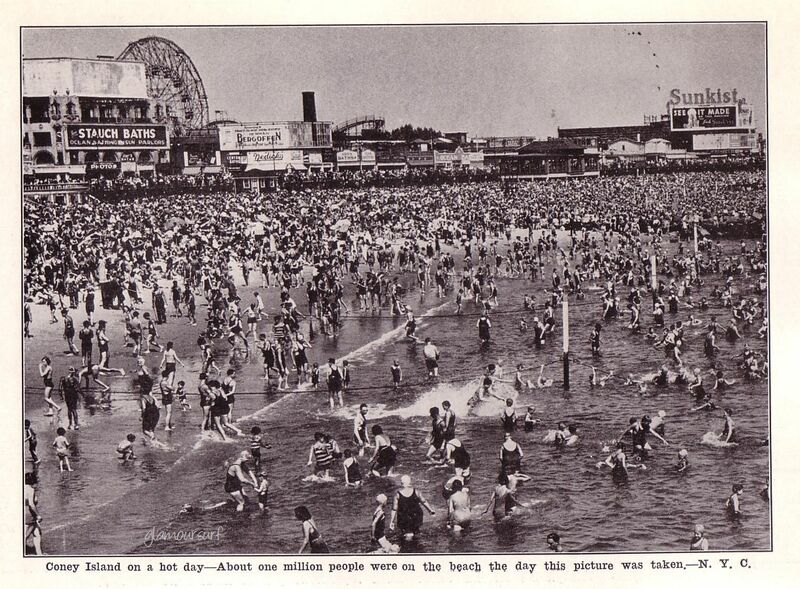 I just love seeing photos like this to look at the crowds, the styles, the swimsuits. 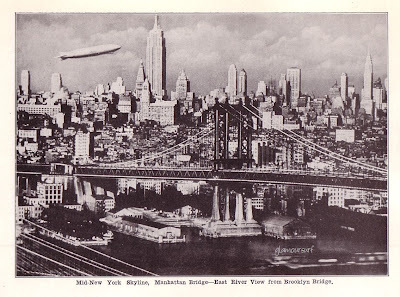 This particular photo book has a small intro of New Yorks history since 1609. A couple of tidbits, did you know that Central Park was completed in 1876? Or that in 1904, NY City opened it's first subways routes? Fascinating. Here's one more photo of the Mid New York skyline, Manhattan Bridge - East River View from the Brooklyn Bridge. 1933 William Frange. It's a blimp!! SO MANY PEOPLE!!! It almost looks too crowded to be enjoyable. But I still like the picture. Went to NYC for the first time this summer, and fell completely in love with the city! I need to go baaaaaack!!!!! I agree about it looking too crowded to be enjoyable. It is interesting though, just how crowded it is!